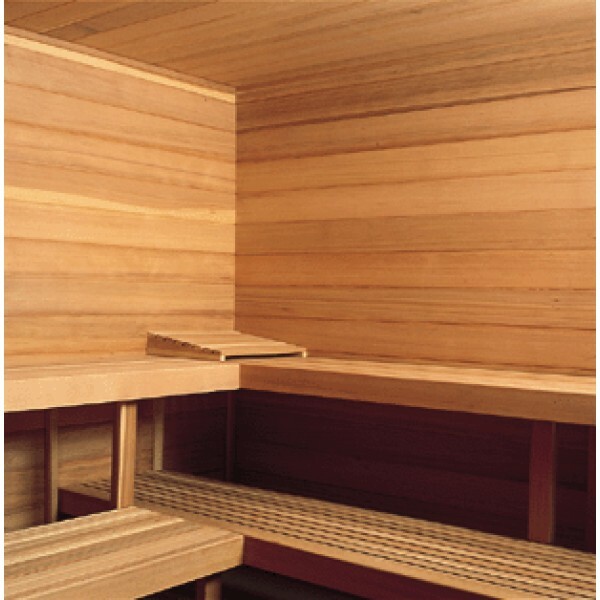 Custom Cut Sauna Room is 36" x 48" x 78" ID with 1 bench, JM-20-S with Built-In Controls. 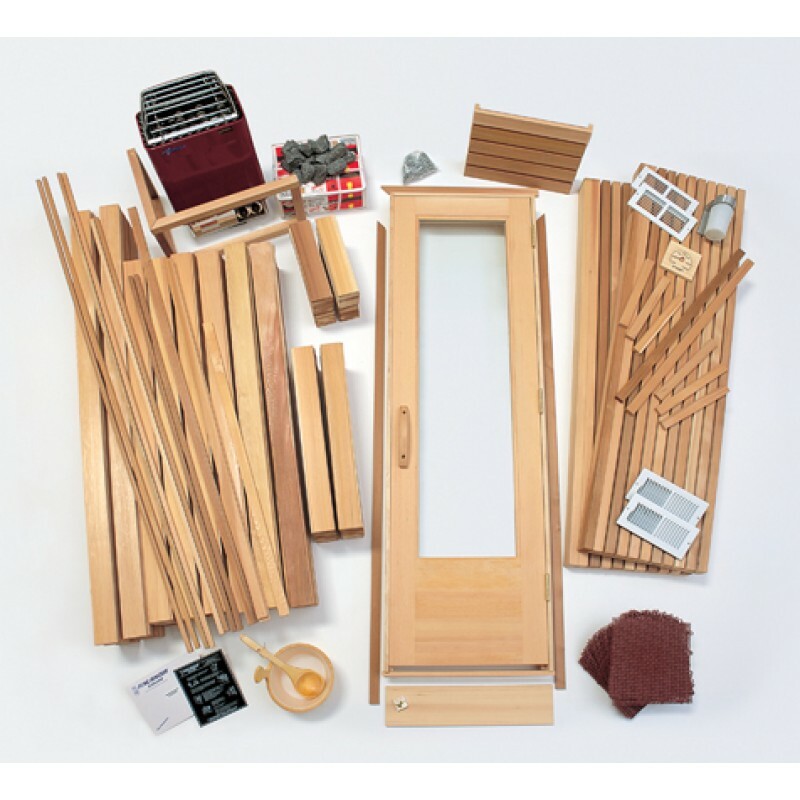 All Finlandia material packages are made to order and solid furniture quality. 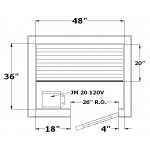 Our precut packages are intended for use in a space to unwind that you have framed and insulated. 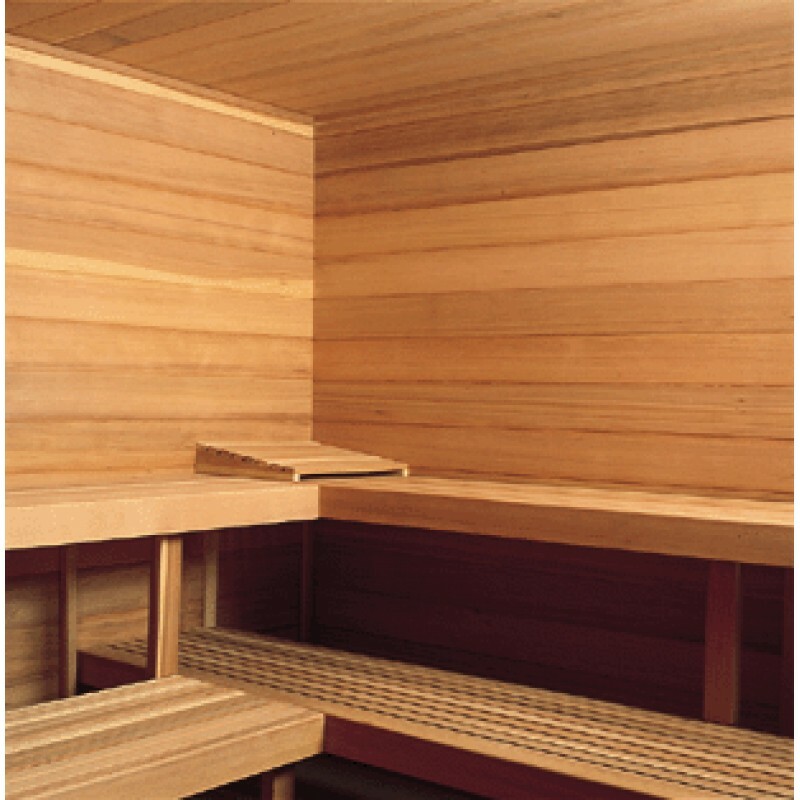 Precut saunas include very specialized wood and components to meet the demands of the sauna experience. 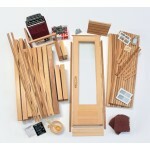 Anyone with general carpentry experience can build a sauna out of our FPC parts. From wood type to bench style to lighting and beyond, we supply all the interior room parts and you nail or staple our 1"x 4" tongue and groove boards to your stud frame; our boards will run horizontally. 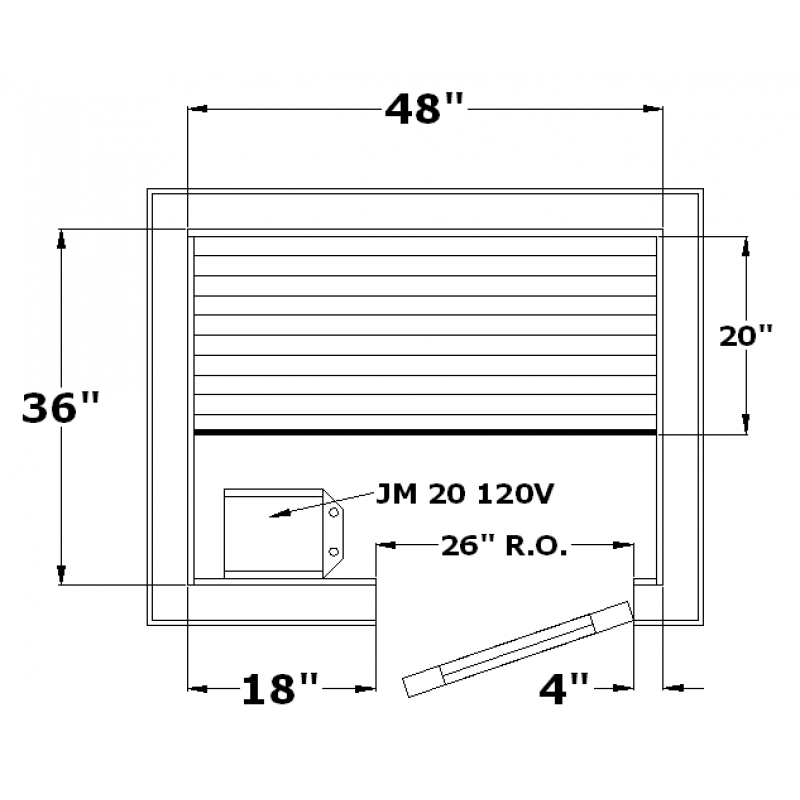 Prehung glass door (24" wide) with solid wood rails and V.G.